What could be more squeaktastic than visiting the set of a Hollywood movie? The Thea Sisters can hardly believe it’s really happening to them! They’re hanging out with famouse actors and directors on location in sunny California. Life is pretty fabumouse, right? But then a reel of film is stolen from the studio. Is this the end of the movie magic? 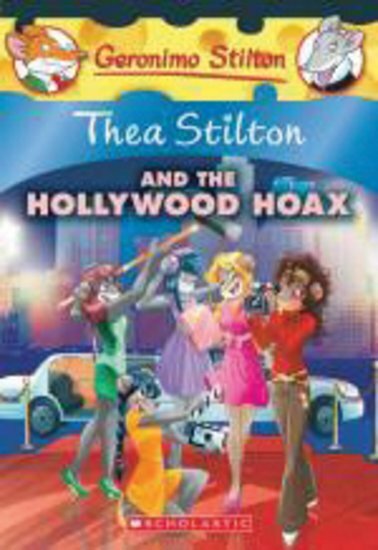 Or can the brave Thea Sisters show that they’re not just hangers-on, by solving the crime and saving the movie? It’s showtime!